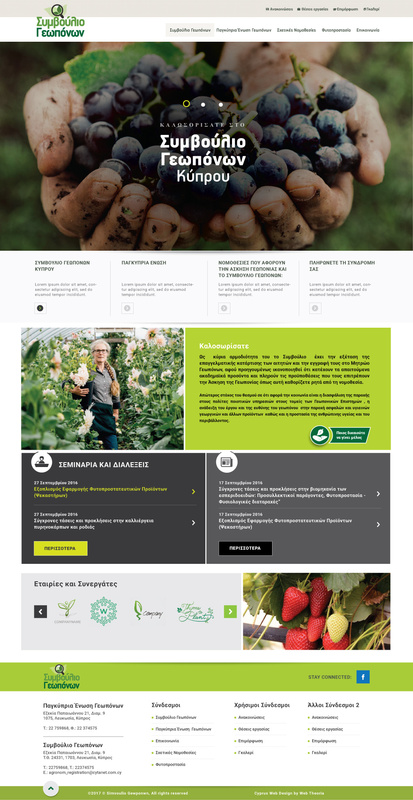 The Cyprus Agriculture Council, established in 1987, has as its ultimate aim to ensure that citizens are provided with quality services in the fields of agricultural sciences, highlighting the work and responsibility of the agronomist in providing safe and healthy agricultural products along with the protection of human health and environment. In addition to the design and development of the Council’s new fully custom made website, we were entrusted with the creation of their new logo. The council sports a very capable group of professionals that made collaborating with them a breeze. As well as wishing them future success, we would like to thank the Cyprus Agriculture Council for entrusting us with this project and for making sure that our crops and Mediterranean lifestyle are as healthy as possible. 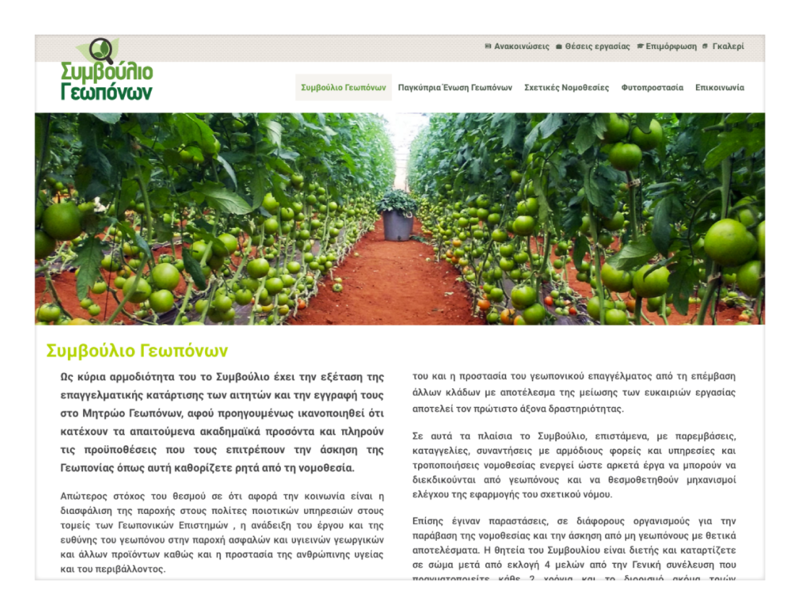 The website was developed exclusively in Greek.